If you can’t solve a problem, it’s because you play by the old rules. FrolleinFlow works on modern educational models and approaches for future-oriented people, companies, regions and other institutions. We address mainly those 10-15 percent of people, who want to make a difference. We like to work with them to develop progressive approaches for the future. To this end, we are developing studies, lectures, consulting services, and various online projects to demonstrate how to dock in modern, networked work and learning environments. We have many years of experience with social learning projects. We support others in making the leap into the network society. FrolleinFlow is a dynamic, internationally oriented company from the creative network and education sector. Flow is a feeling of happiness experienced as a mental state of complete deepening, which is becoming more and more important in the network society. We show how to develop and improve that experience with the net while having fun. We show you, how you learn while being in the flow. There is creative potential in every human being. Let’s work on lively networks to master your challenges in a transformative way! We build modern learning and working environments for creative, networked and collaborative flow. We know the potential of modern educational concepts! We are interested in agile processes! We move between different worlds! We love challenges and thinking „out-of-the-box“! Education is THE theme of the 21st century. And modern working and learning in or with the Internet have long been our main focus. Now both of them meet! We have been dealing with this subject for more than two decades and bring with us actively, digital expertise 4.0 that is brought to life in a contemporary way. An EDU or NGO discount is possible. Educational user experience is increasingly becoming part of the brand structure of companies. We help you! Development of tailor-made institutional „learning“ & working environments according to industry or company needs. Conception, consulting, implementation & introduction into collaborative processes. Support in the production of modern multimedia educational programmes (from A like offers to M like MOOCs to Z like zoom video conferencing). Our focus is always on efficient and effective work and education! Well-aggregated content with a solid background is an art and expertise that only a few can master. This requires a qualitative, interdisciplinary network. We are a central network node at the interface of work and education 4.0. Our advantage: We see ourselves as a decentralized network organization. Our network is located at the interface of education, culture, and media. We like to work in multimedia – and we enjoy working as a team. 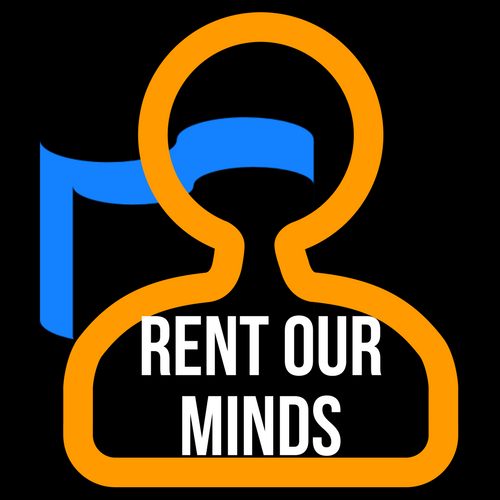 You can rent our heads for a limited period of time. You tell us about your challenge or your challenge – and we will use our know-how to make the best possible contribution within the desired time contingent. The concrete setting will then be agreed in detail with you after your booking. Coordination processes, travel, preparation, and follow-up are also paid working hours! You want to buy a few hours of our consulting time for your work? The prices (250€) are per hour, including 19% VAT. We will contact you immediately. Leave us a message about how we can get in touch with you. THANK YOU! You have an idea for the booming education market and need feedback? You can book us bindingly. For 1.000€ we give you on a one-pager a rough personal assessment of your idea or your approach from the market perspective. This assessment is only intended for internal purposes. For 2.500€ we will give you a more detailed assessment of the needs, the sense and the sustainability of your approach from a market perspective. This assessment is only intended for internal purposes. For another 1.000€ we derive a blog entry from analysis 1) or 2) and post it on our FlowCampus blog plus our social media channels. In it, we say our real opinion – like a wine taster. It is our reputation that depends on it. DISCLAIMER: You can’t buy a testimonial from us. If we say something about it in public, you can invoke it. Otherwise, it’s not.